Winter fashion can be so boring to me. Yes, I said it. Honestly, if I see another black or grey outfit, I might cry. 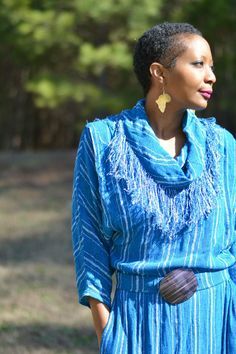 I think people tend to overwear the dreary colors in the winter, and for those reasons, I try to incorporate as much prints, patterns and colors in my winter wear. It’s my way of simply coping with the cold and not sacrificing my personal style because it is cold. I found this dress at the end of the summer at Ross Dress For Less. I paid $4 for it. Crazy, right! If you have never checked out the clearance rack at a Ross near you, then you are definitely missing out on some great deals. When I saw it, I immediately thought about the fall/winter season. It’s honestly not a dress that I would wear in the summer as the colors aren’t entirely vibrant. It certainly doesn’t scream summer to me, but saving it for my winter fashion wear was a must. I love the print. A lot of visual appeal wouldn’t you say? One of the interesting detail that I love about this dress is the exposed zipper in the back from the neck line to the bottom. I thought that was rather interesting and although the $4 price tag pretty much sealed the deal on me buying this dress, that extra detail just made things sweet. Of course, now that it’s cold, a must for me in wearing skirts or dresses, is the inclusion of fashion tights. I tend to pick up my tights from places such as Forever 21 and H&M because they have various patterns, and the prices are right up my alley. This chevron patterned tights came H&M and was $5. Can we talk about these over the knee boots now? I first rocked them here with some jeans. I got these boots from Charlotte Russe a couple of years ago for $8! Seriously, as I write my blog posts, I still amaze myself with the deals I find. It was the first time I had bought boots from Charlotte Russe, and I was not disappointed. These over the knee boots are insanely comfortable, which honestly I wasn’t expecting. The color is the perfect neutral for me and goes excellent with this printed dress. Finally, it is winter, so coats are a must at this time. I must admit, I have a lot of coats. Various colors, lengths, materials etc. I own exactly two coats that came directly from a retail store, and only because they were gifted to me from hubby. ALL of my coats have been thrifted. I simply can’t see myself paying a lot of money for coats when thrift stores carry them in abundance around the appropriate season. This Kenneth Cole black coat was thrifted from Goodwill for $7.99! Can you really beat that price for a coat, a Kenneth Cole coat? I am going to say it again, if you are not checking out thrift stores, you are missing out on savings. Period. You wear that dress well and I agree about keeping colours alive in winter. I am with you! Dreary weather should not equate to a dreary wardrobe! You look lovely! And those boots! Gorgeous! Haha I totally agree that winter fashion can be boring…I feel boring in my bulky sweaters and coats! This look is so colorful and fun though! Thrifting Diva, thank you ever so for you post.Much thanks again. 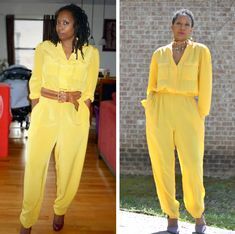 Thrifting Diva,thanks so much for the post.Really thank you! Great. 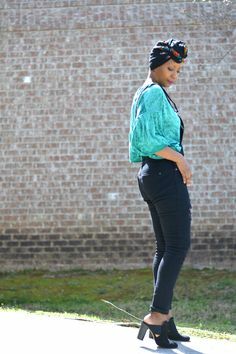 Nice styles and love these looks! I am so inspired and want to try these styles. Thanks a lot for sharing.